Staying on top of the news within the industry helps expand your knowledge in the business world as a whole. Franchise news keep you in the loop with which current trends are performing well or not. Visiting sites on a regular basis and reading their content can help you better understand the different aspects of your company. The most prominent website for franchise news – Entrepreneur. The company has a completely separate category for the franchising industry. The name speaks for itself and gives insight into the business world. With a wide variety of topics, the amount of information you receive is endless! Entrepreneur discusses potential businesses and current trends to keep owners aware of how well their particular industry performs. Some articles have tips and tricks to increase profits and run the company smoothly. From light reading to in-depth analysis, a variety of articles are available to read. By dedicating an entire site to industry news, Franchise Times stands out among the others. With everything from news to conferences, any franchisee will find something useful. The homepage guides you to the different areas/categories offered at the top of the page. To remain up-to-date with franchise news, Franchise Times lists the top 200 brands. This allows potential and current franchisees to see what businesses are performing well and why. Resource for Buying and Reading! Franchise Direct is normally the site people visit when they are looking to invest in a franchise. They give you detailed information about the business and a summary of the company. There’s also a specific section for news and articles. They publish timely and relevant articles about the franchise industry almost every day. If a major change takes place within a franchise company, Franchise Direct likely has an article written about it. The only challenge – they are not as general as some of the other franchise news websites. 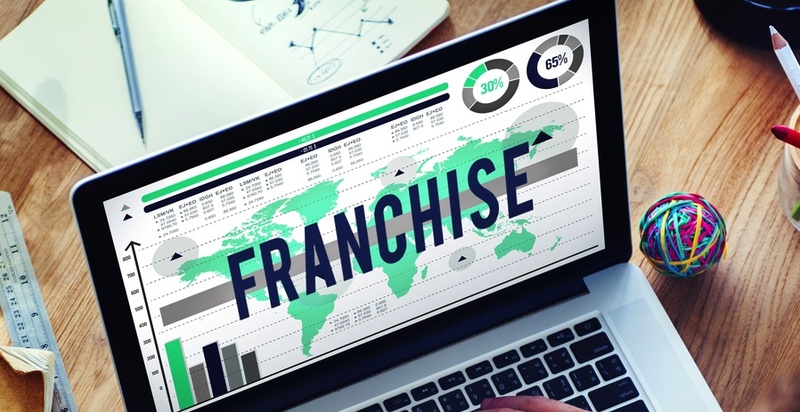 Soaring into one of our top spots, Franchising.com has countless resources. They release multiple articles a day, offering the most information than any of their competing websites. However, the site can be difficult to navigate. The design is not as updated as some of the others. You will need to scroll through a list of articles before you get to the one you are searching for. It would be a great opportunity to review what businesses opened recently and possibly share some press releases yourself. The site focuses on the daily trends within the industry, rather than overall trends. Filter to the category you want to learn about easily on Franchise Business. It has three main sections: business, legal, and finance. Whether you want to know current financial trends or popular businesses, the site navigates to those areas. The website releases multiple articles in a day. Despite the amount of material daily, they don’t write consistently. Sometimes it may be a couple days before you see another blurb pop up. The International Franchise Association (IFA) offers access to news and articles as well. This organization is important for franchisors and franchisees. With multiple conferences and conventions, the association offers learning opportunities to help improve your business. The downside to their website – lack of material. The IFA writes inconsistently, with scattered articles on their page. The content is mostly made up of press releases which will keep you updated on current trends within the industry. Surprisingly, even the New York Times has a specific section for franchising. The material is well-written with excellent insight on the industry. However, the one negative aspect – slow writing. Due to the New York Times being such a popular newspaper with a variety of information, the focus strays from franchises. Basically, the website only writes about franchise news on occasion. It’s a great resource for information, but don’t expect it to keep you updated with current news. For additional information within the industry, visit the DetailXPerts blog. We focus on improving franchisees through our articles, videos, and infographics. We have a wide range of material to help aid you in your journey!